In September 2016, we took a 3-week road trip around the Czech Republic. Our itinerary focused on UNESCO world heritage sites and was designed with help from the national tourist bureau. We left the country with thousands of photos from those 22 days. 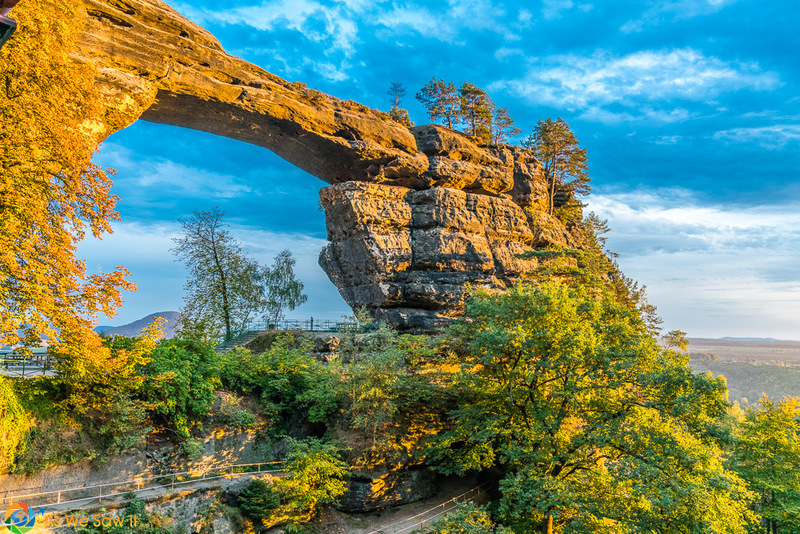 This article shows our favorites, each from a different location on our itinerary. Each has a story to tell, so join Dan as he takes you on a tour photo essay tour around the Czechh Republic. Travel photography is interesting because there are so many things that capture your eye, from a small child playing with a plastic bag to items displayed in windows. The variety is never ending. 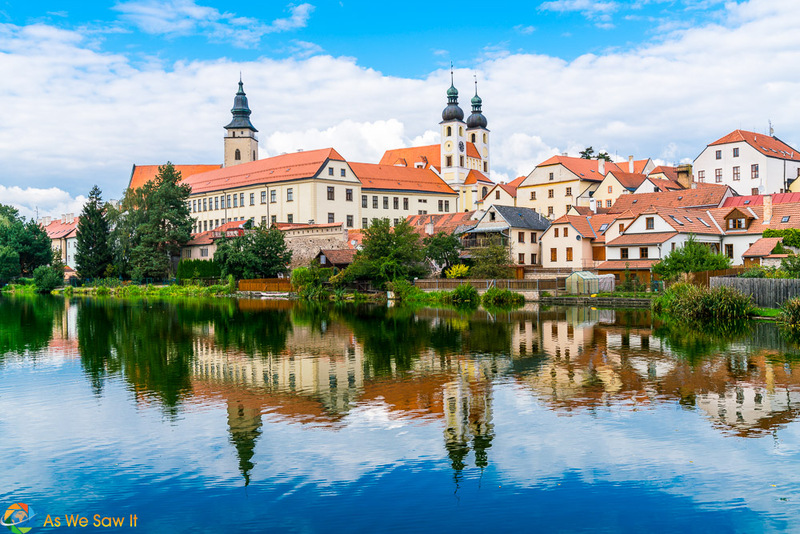 So here are 22 favorites from 22 different Czech towns, and the reasons I like them. Please let me know what you think. 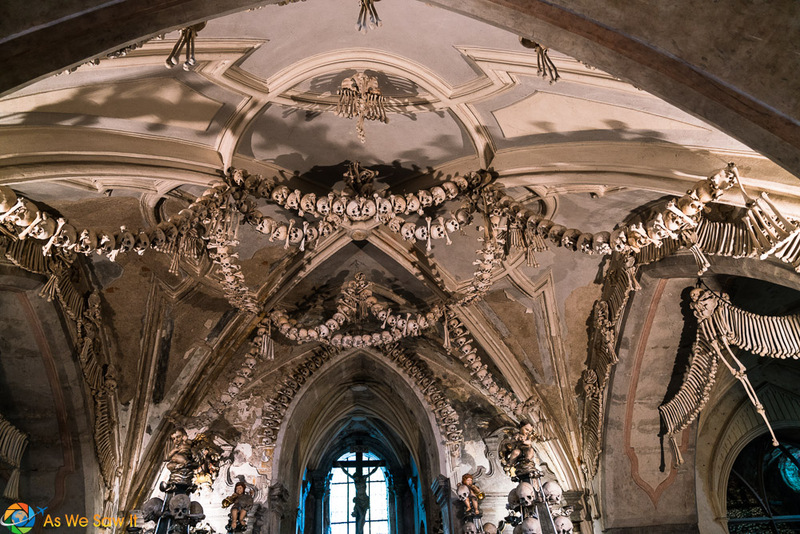 This macabre display at the Bone Church in Sedlec, near Kutna Hora, actually warmed my heart. It was a reminder of my late son, who could have named every bone on display. Doors and windows are always a subject and here we get both. I like how the contrast of the blue sky reflected in the windows and the worn door and walls in Litomysl. 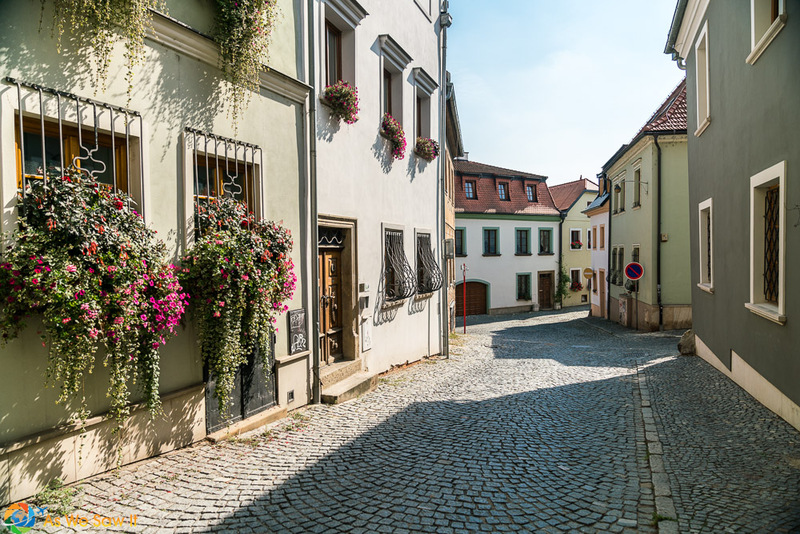 The sun warms the fall air along this beautiful cobbled street winding through Olomouc. Warm smile of a warm heart as she took special care of us while we had lunch at Cerny Orel in Kromeriz. She spent the time to explain the chocolate in the back room to Linda. Why the big smile? I told her I would put her face on the internet and make her famous. We passed through this town on our drive from Kromeriz to Brno. 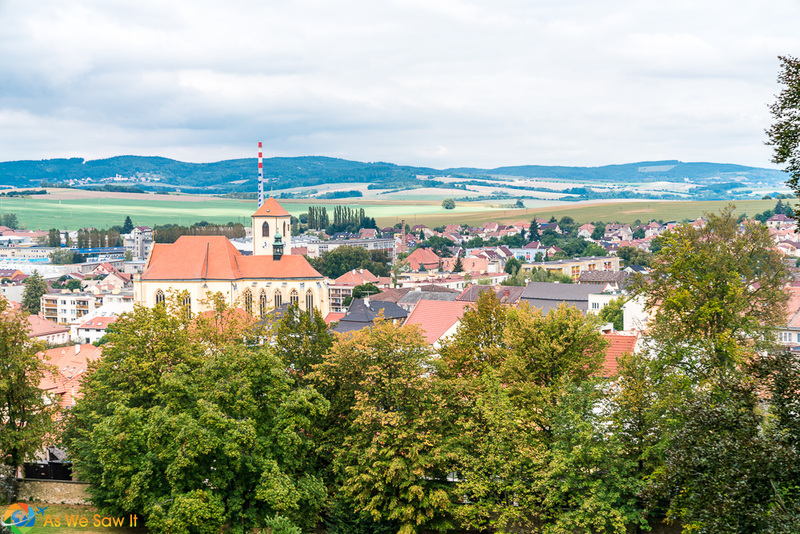 A captivating view of Czech countryside from a vantage point in Boskovice as the warm fall colors lit up the overcast day. 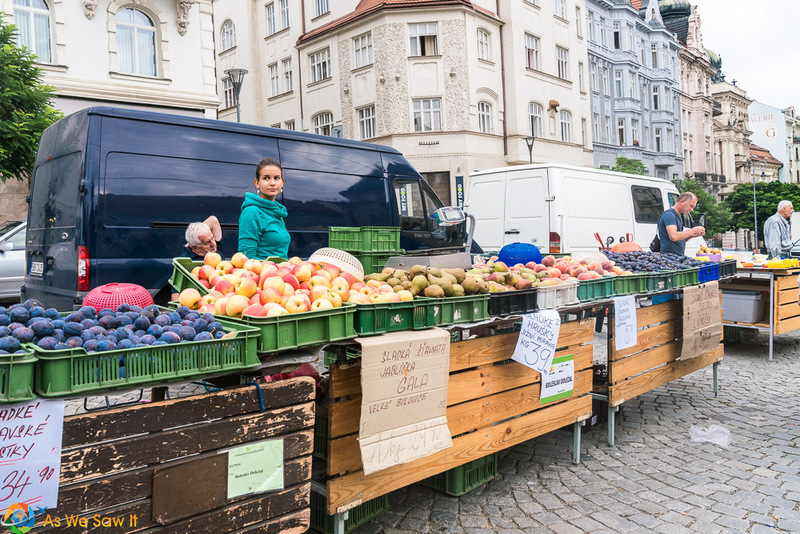 We stayed at Zelny Trh, the “Cabbage Market Square” that once was the historical center of Brno, the country's second-largest city. This photo tells the whole story. Just as vendors have been doing since the 13th century, farmers truck in their produce early in the morning, fresh from the fields. This woman has finished setting up and is ready for her first customer. 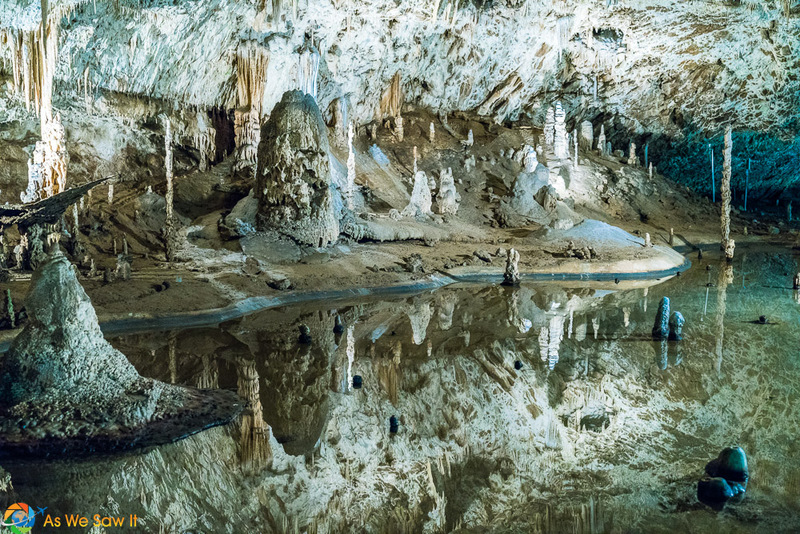 We visited the Moravian Karst outside Brno, where the stillness of the water matched the silence of Punkva Cave. Mikulov Castle at sunset takes on a pastel glow in the golden hour. 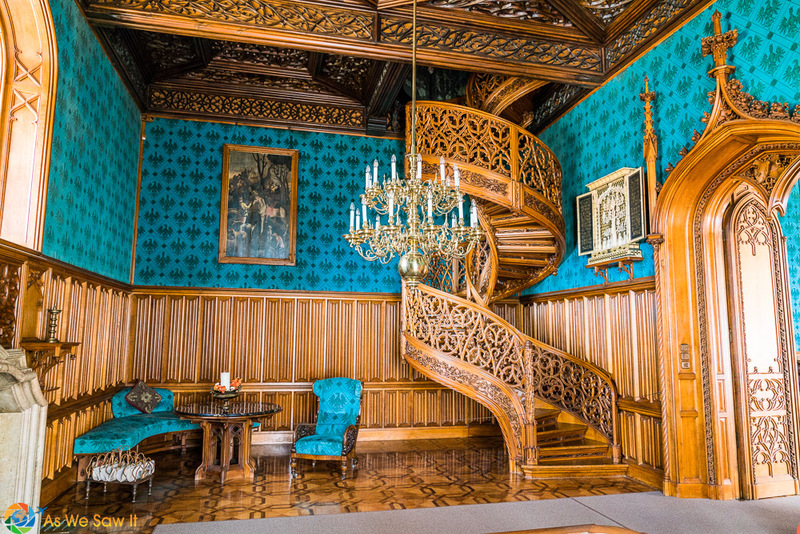 The Dukes of Liechtenstein owned two adjacent chateaux in southern Moravia, and the one in Lednice has a staircase that had been hand-carved from a single oak tree. I thought the blue walls make a stunning contrast. 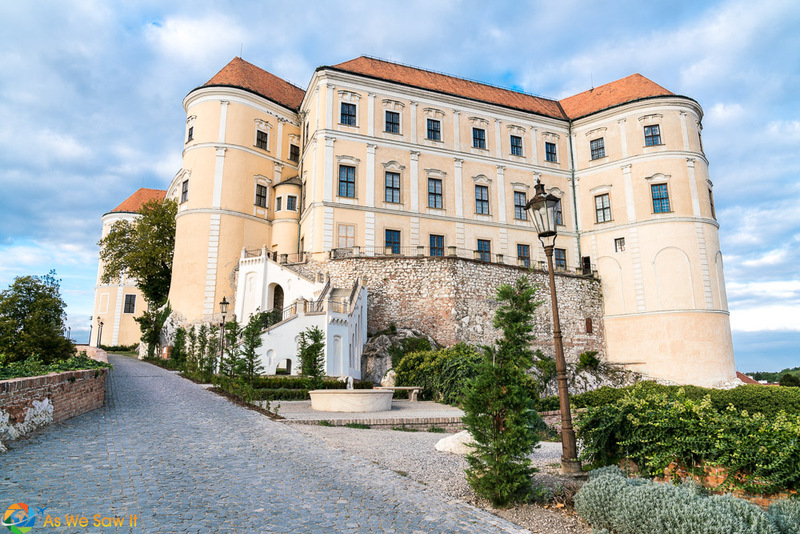 The dukes' chateau in the neighboring town of Valtice is one of the most impressive Baroque residences of Central Europe. 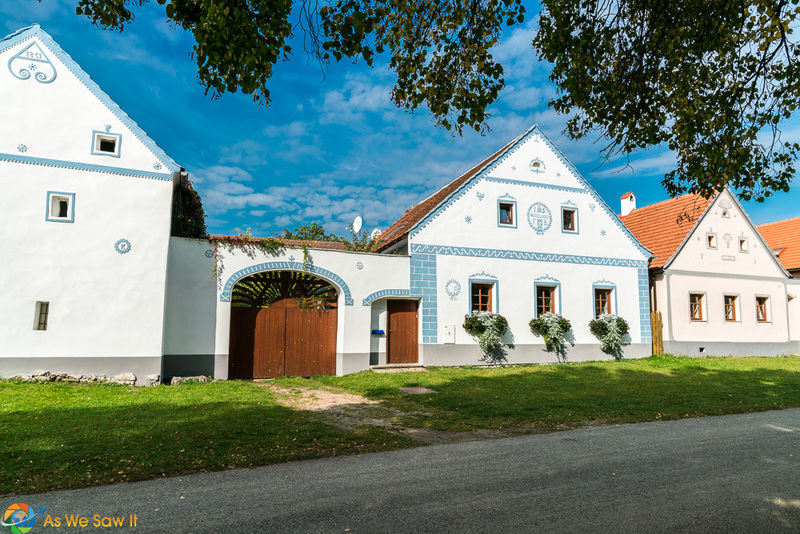 The Lednice-Valtice cultural landscape is a UNESCO site, and the region is also known for its excellent wine. 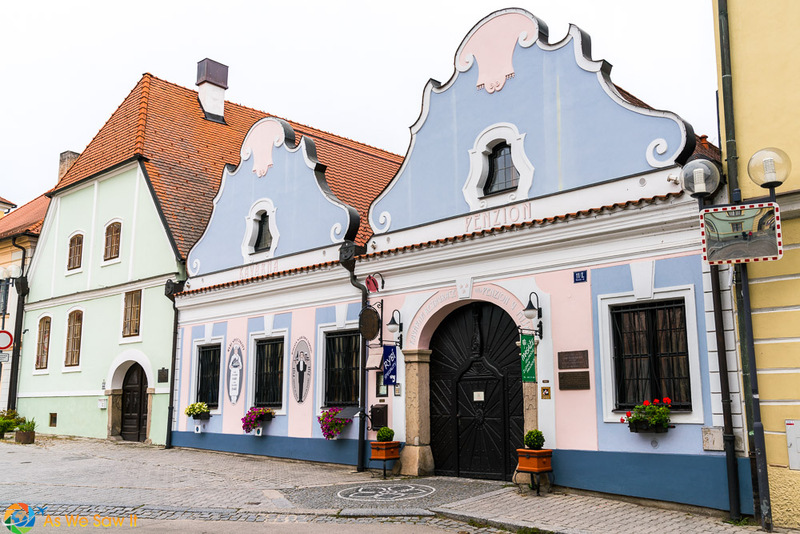 Telc is a UNESCO site because its historic center hasn't changed since the 13th century. The surrounding ponds reflect Telc Castle beautifully. 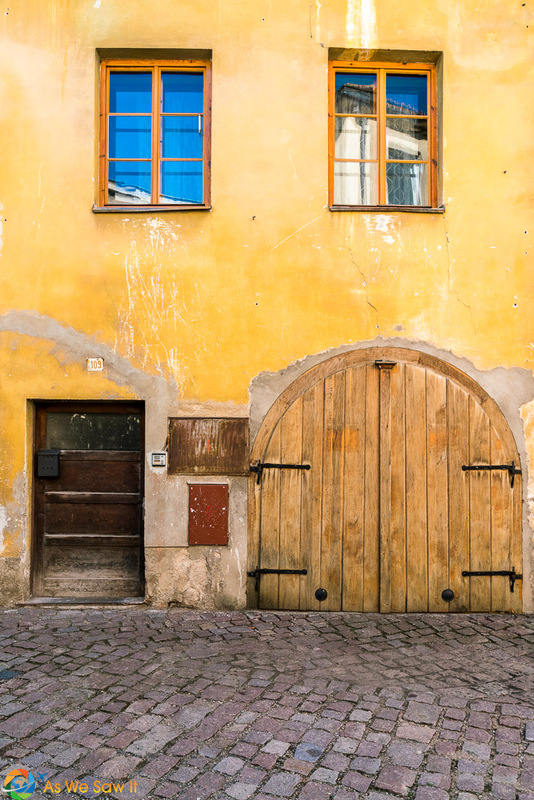 The preserved Jewish Quarter of Třebíč, pressed against the mountain, still bears silent witness that it was once a center of Jewish culture in Moravia. 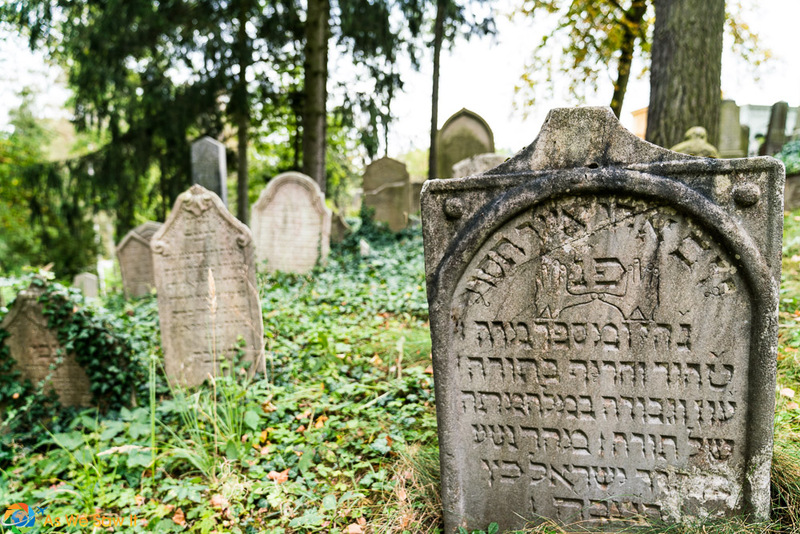 This grave stone depicts the age-old Jewish custom of placing God's name on the people. 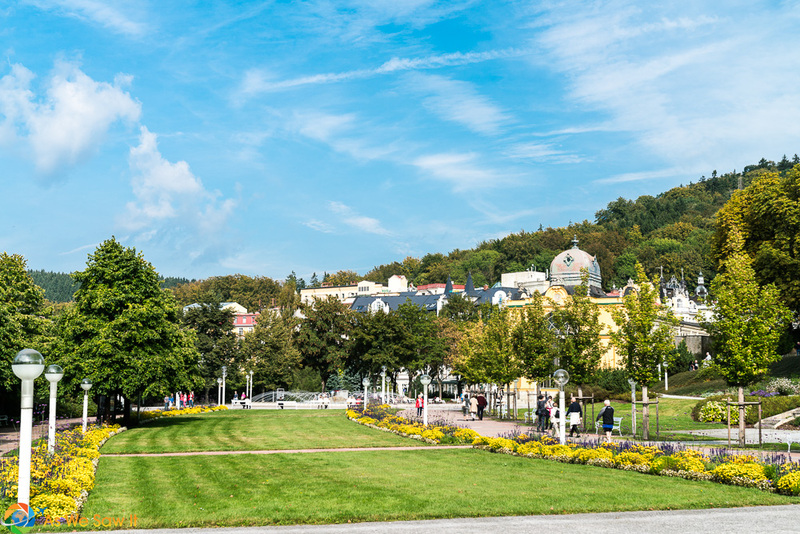 Třeboň is a tourist area, known for its excellent fish and pretty buildings. The mirror of the right allowed me to stand in a dangerous traffic location while snapping this shot. They call it ‘South Bohemian folk Baroque,' and that's what earned it UNESCO status. Light blue and wood contrast in the exceptional display of an 18th and 19th century central European village. 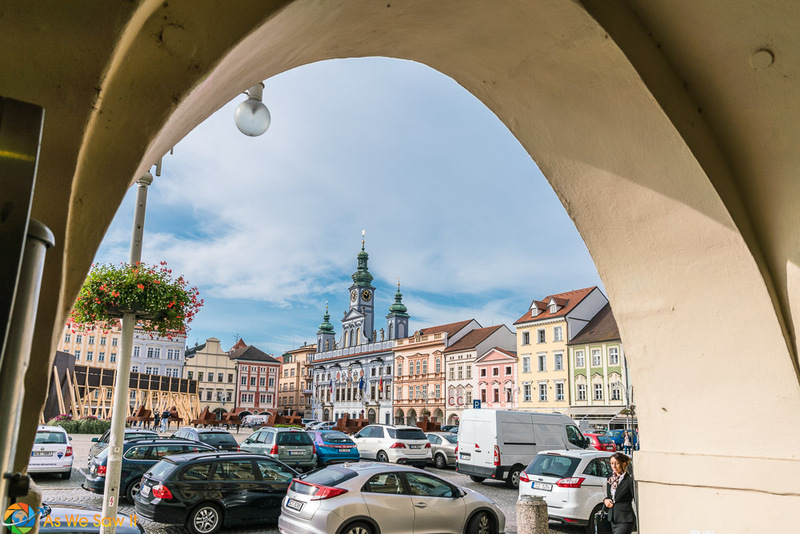 Ceske Budejovice was founded in 1256 by King Ottokar II of Bohemia, and the central town square was named in his honor. Here it is, framed by one of the arches that surround the square. 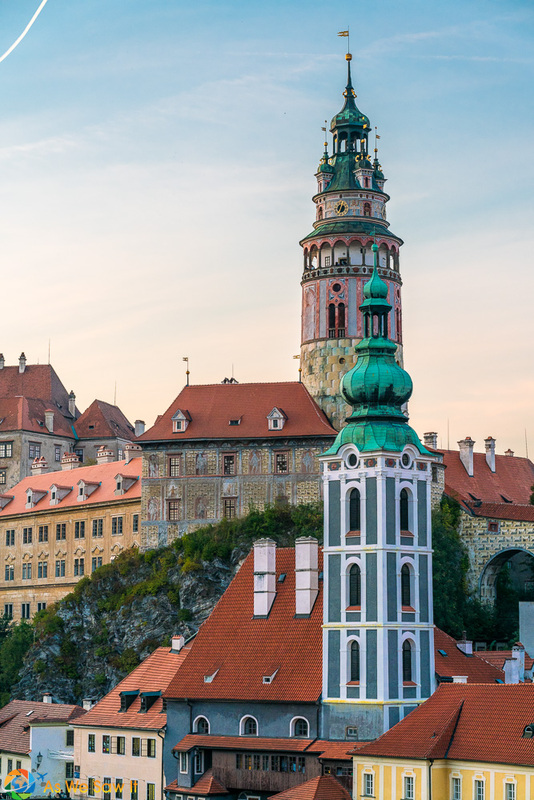 Cesky Krumlov is the second-most-popular tourist destination in all of the Czech Republic. Here, sunset illuminates the castle tower, a tip-off to the color that can be found throughout this picturesque town. 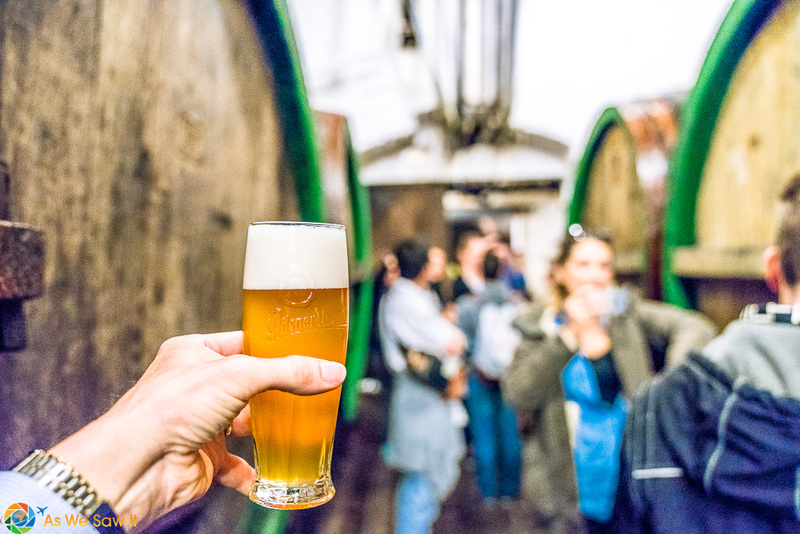 Plzen (Pilsen) is famous for its beer, so we “just had to” visit the Pilsner Urquell brewery! 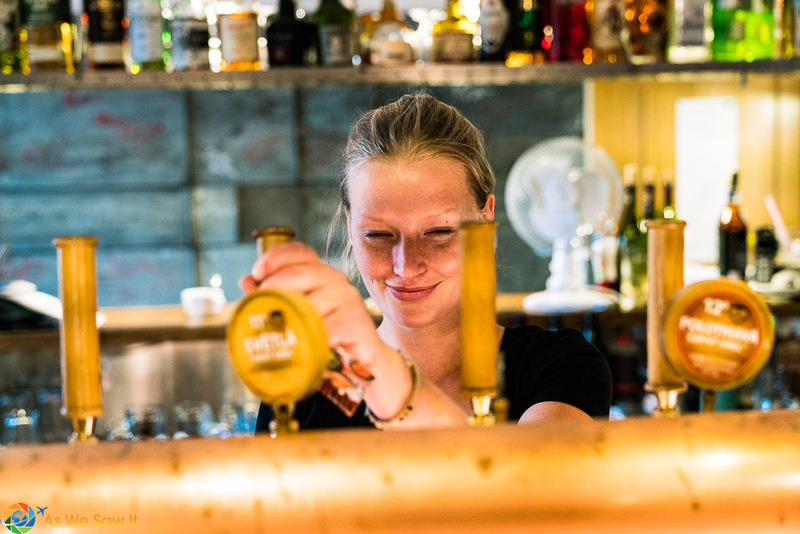 Where better to try the much-copied style than in the town where pilsner began? Mariánské Lázně is a spa town in West Bohemia that was once popular with many celebrities and top European rulers. Looking from the Colonnades, the flow and curve of the grass match the clouds, leading to the building where its healing waters can be found. 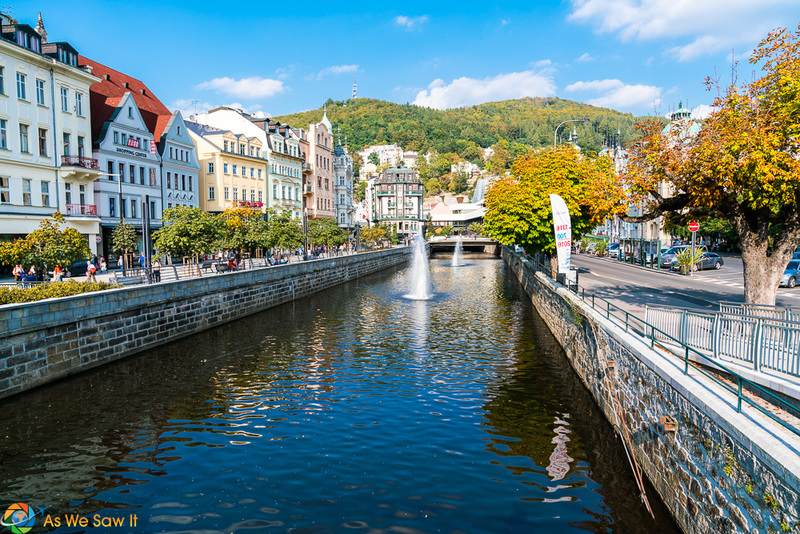 Karlovy Vary (Carlsbad) is a popular tourist spot thanks to its thermal springs. Fall is beginning here, and the trees strike a harmony with the town's colorful buildings. 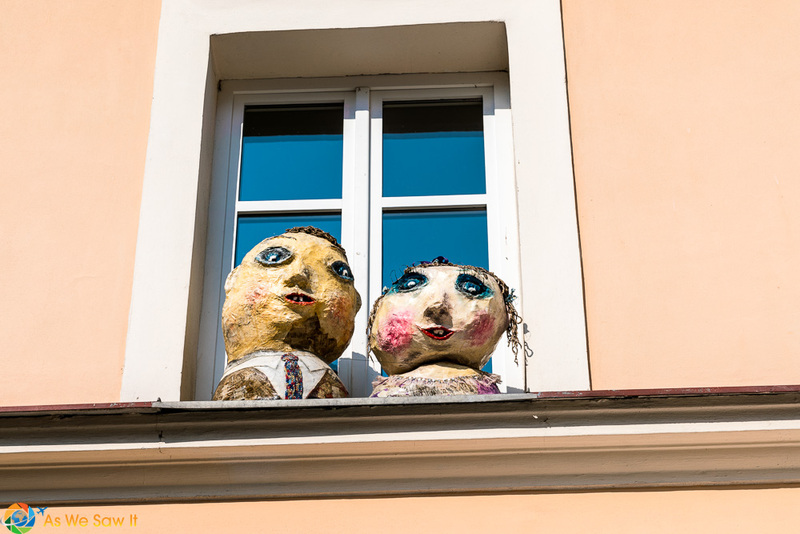 I just loved these whimsical characters peeking from a window at Loket. This castle town was featured in the recent James Bond movie, Casino Royale. We spent hours hiking to this wonderful treasure in Bohemian Switzerland, a national forest north of Prague, up near the German border. It was overcast all day, but the sun broke through just as the overlook was closing for the night. I think I burned up a battery in those five minutes. 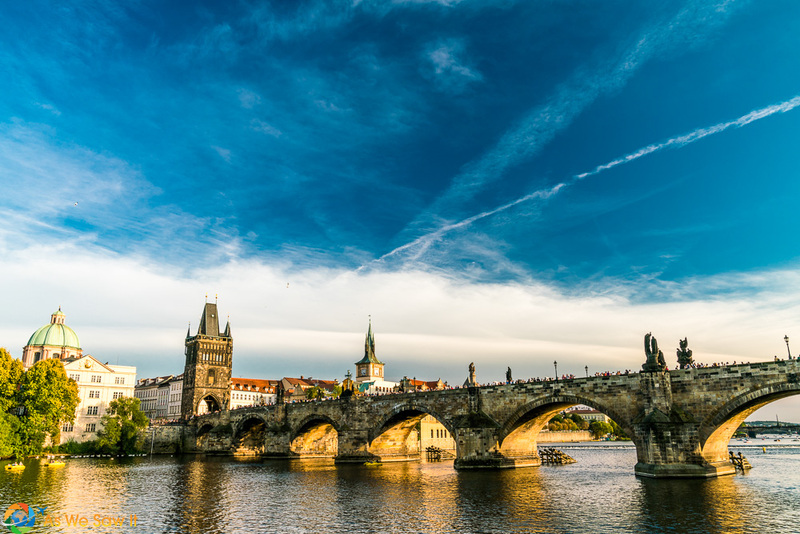 I captured the warm colors of Charles Bridge at sunset, while standing at the edge of the Vltava river in Prague. Beautiful, beautiful photos…! My country is the best <3 It seems you loved it too 🙂 Which part was your favorite? Haha – having spent 3 weeks driving around, it’s hard to choose a favorite. We really enjoyed the back road scenery … hiking in Bohemian Switzerland … and drinking burcak in Moravia, but it’s all amazing. 🙂 You’re right, you have a gorgeous country.